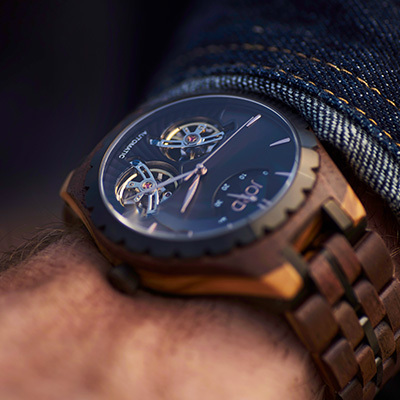 Ushering in a new era of discerning design, the Meridian has fundamentally changed the manufacturing and construction of wooden timepieces. 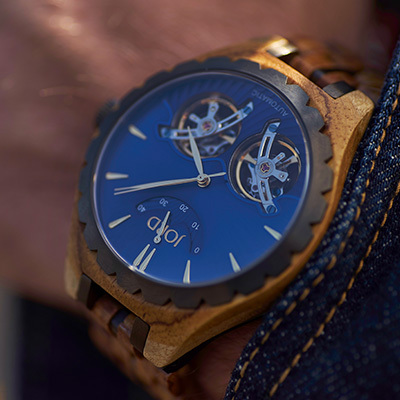 For the first time, steel seamlessly integrates into the watch build without sacrificing the visual presence of the wood. 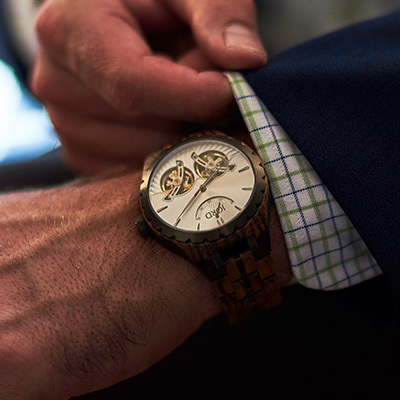 On your wrist or in your collection, the Meridian has earned its place. Reinforced metal is used at key pressure points within the skeletal structure of the Meridian case to increase durability and reduce wear. 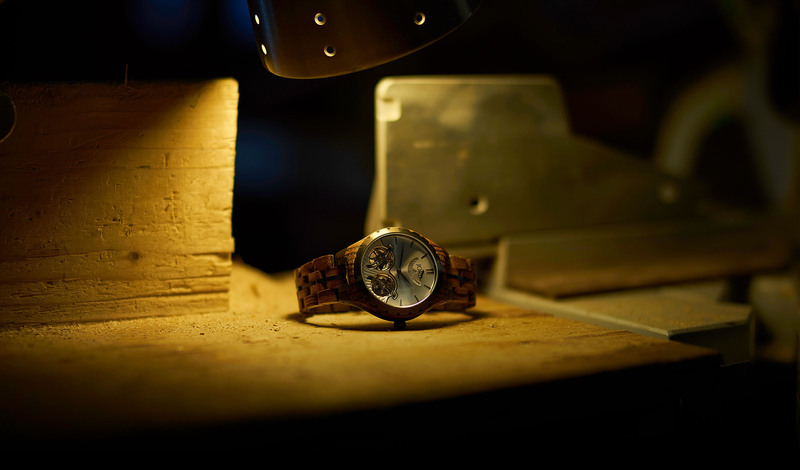 The fused wood case sits between a steel bezel and a steel foundation. The base of the case extends to the edge of the lug ends offering a strong seat for the band to sit within. A strategic but simple design choice, we outfitted the Meridian with a domed sapphire crystal. Sapphire crystals are designed for luxury timepieces - known for their durability and resilience through everyday wear. We chose a slight dome in order to reduce full dial light reflection and light bending. 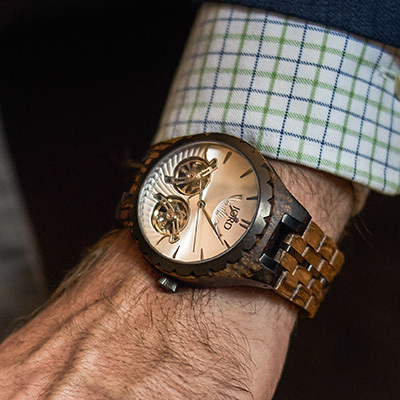 The Meridian is outfitted with a notched steel, stationary bezel. 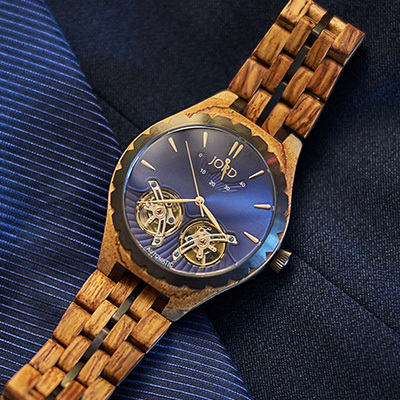 This addition reduces wear on the natural wood case and is a handsome compliment to the steel screw-down crown and integrated steel links in the band. 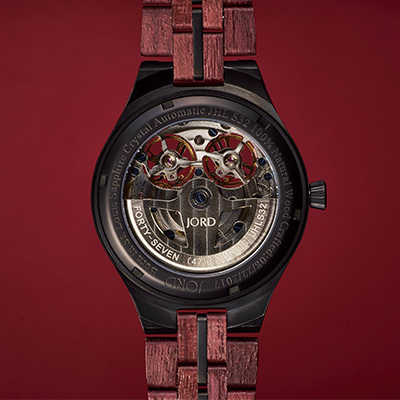 Introducing JORD's first dual wheel movement. For automatic enthusiasts, a dual wheel is a must have for their collection. The Meridian movement features 47 jewel bearings, a 40 hour power reserve - visible at the apex of the dial - and a traditional hours-minutes-seconds display. 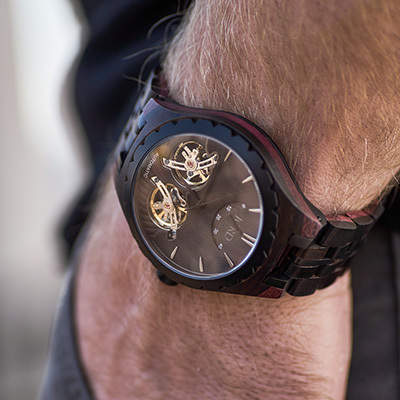 The movement is mechanical (requires no battery). In an effort to fully celebrate its engineering, we created an open heart dial that allows an unhindered view of the dual wheels in motion. Muted tones are prevalent this fall and will continue to dominate through winter. Camel, moss green, burnt orange, and charcoal gray will be commonplace in our collective closets this season, and we wanted the Meridian to be complementary to that quiet sophistication. 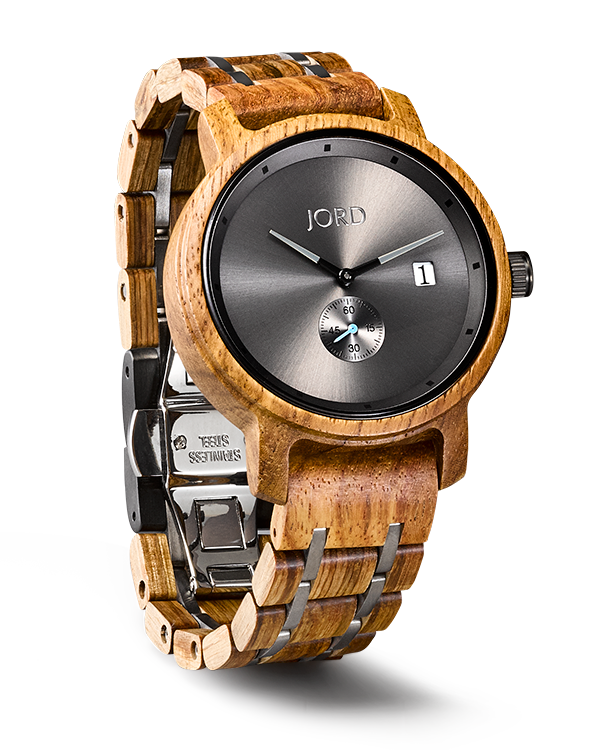 The series offers 4 unique color ways, each one expertly tying the hue and depth of the natural woods with the brightness and weight of steel. 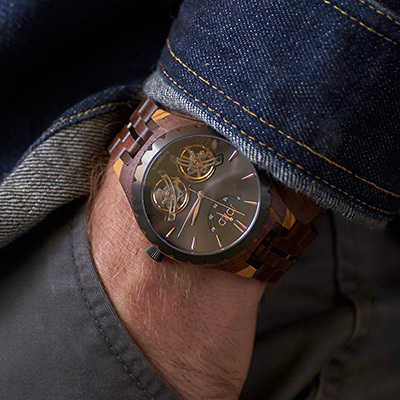 Punctuate your style this season with the all new JORD Meridian.